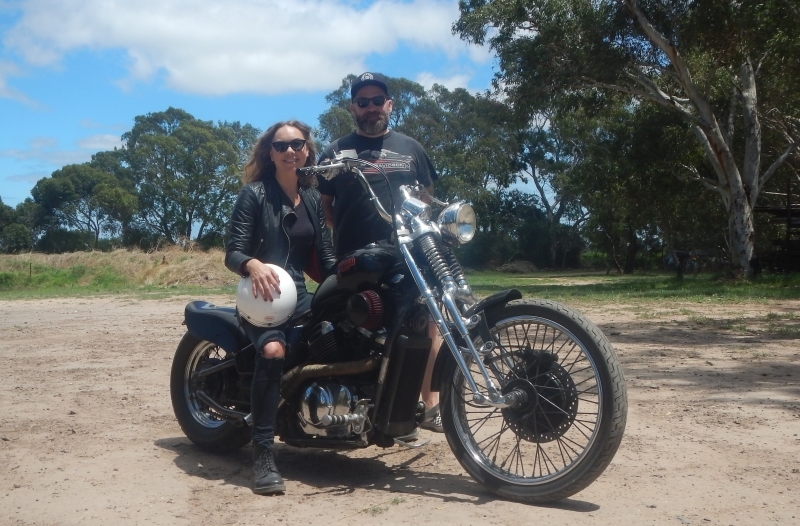 A call from Rayne a couple of days ago requested use of a Chopper Shed bike to give his sister a riding lesson. I didn't think my shovel was quite the machine for a learner, Paul's 550/4 with its 45 degree rake, 10.5" over forks and narrow W bars would not be that easy either and Oscar had my CB750. Hmm! Paul's recently purchased (swapped for a vehicle actually) Honda Steed would be just the ticket. Slight problem it was at a workshop 20 minutes away. However, Rayne was amenable and happy to drive me down to pick it up and ride back. Sorry we couldn't get any exciting pics of her falling off! Rebecca picked it up fairly quickly and was soon putting sedately around the Paddock. 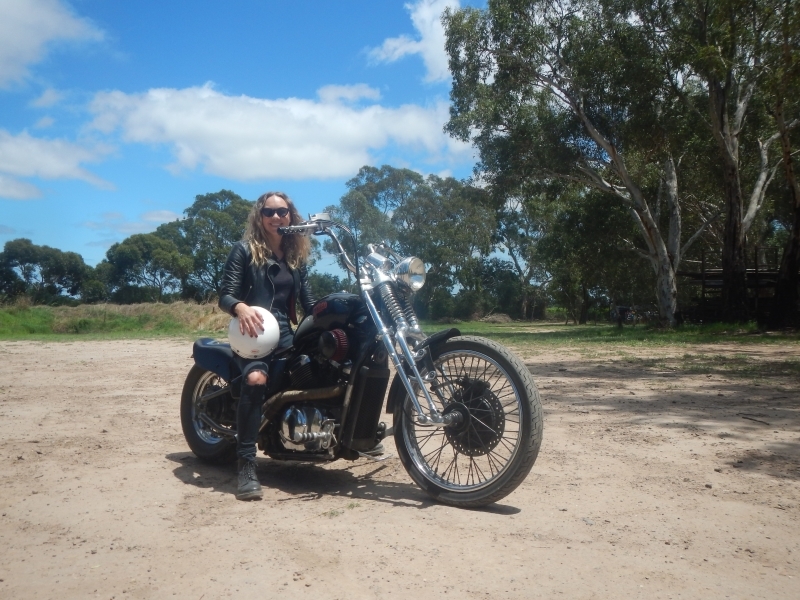 So brace yourselves Queensland... there'll soon be another wild young thing blasting around your streets... so watch out for her and give her are hearty biker welcome!